Trymax provides the global semiconductor and related markets with modern, high quality plasma based equipment for photo resist and polymer removal, surface preparation and isotropic etch applications. 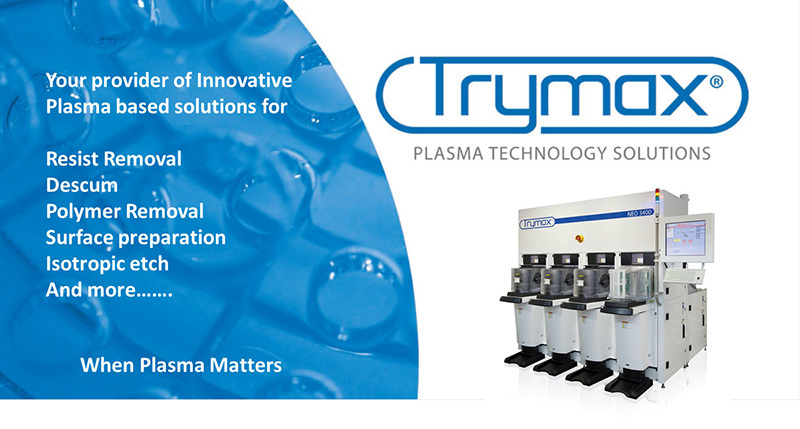 Trymax is a Netherlands based manufacturer of advanced plasma based semiconductor processing equipment. Our HQ is in Nijmegen. We manufacture, sell and support our advanced NEO product range to customers across Asia, Europe and the USA. Several NEO configurations and process modules are available, from single wafer semi-automatic tools through to multi-chamber high volume manufacturing platforms. Development and optimization of plasma based polymer removal processes and equipment. Core competence in plasma TSV via cleaning to ensure proper barrier properties and improved interposer reliability. In close collaboration with our partner’s modeling will be performed for further process and equipment optimization.